Hidden files on a computer are files that are kept invisible from the users. 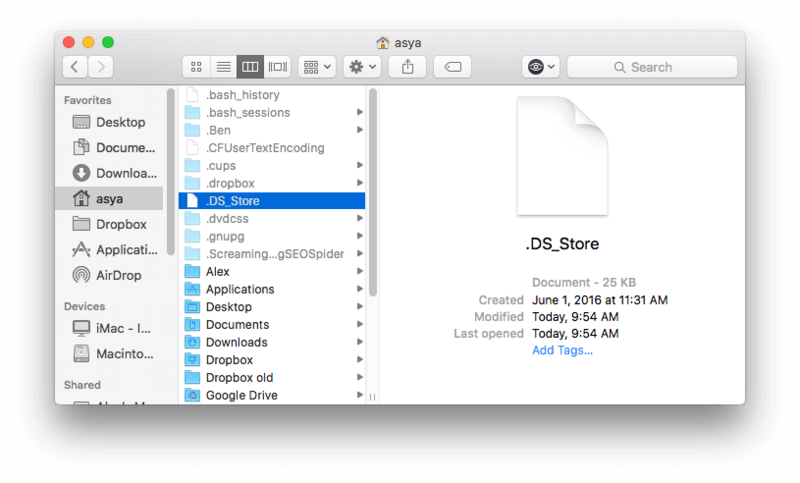 macOS creates hidden files that are needed for the system to operate. 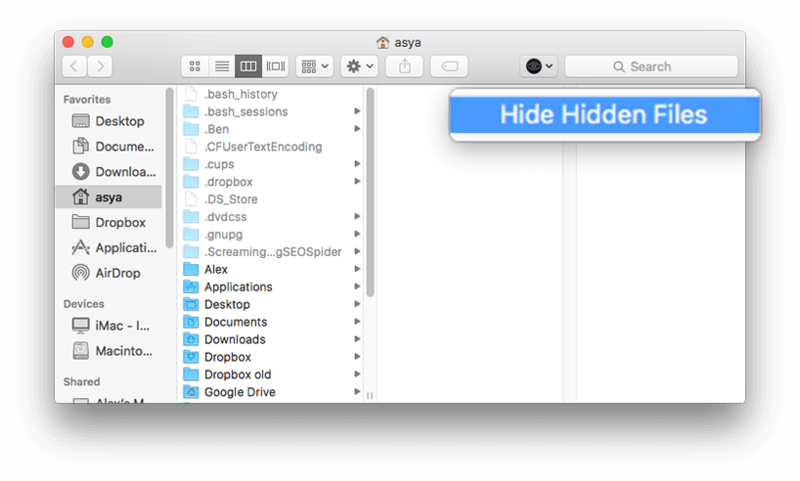 Applications also create hidden files, such as cache files, logs, preferences, etc. Most of them are located in the Library folder, which is also hidden. These files are not visible for security reasons and to keep them separate from files created and used by the user. However, not all the hidden files are necessary. Some hidden files can be cleared to free up disk space. 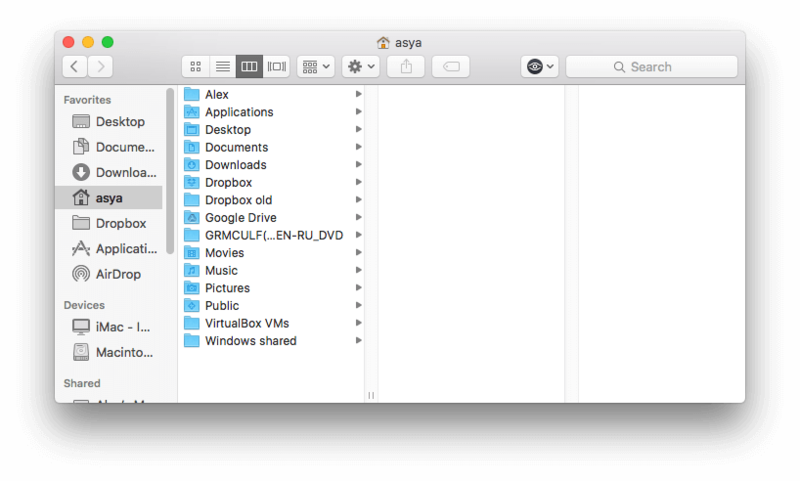 Users that are very familiar with the macOS file system can operate hidden files according to their needs. You can’t view hidden files until you make them visible. There are many ways to show hidden files on a Mac. The simplest way is to use Funter, which is a free app. You can recognize hidden files by their name and icon type. Firstly, hidden file names begin with a dot (or period). Secondly, the file icon is translucent. 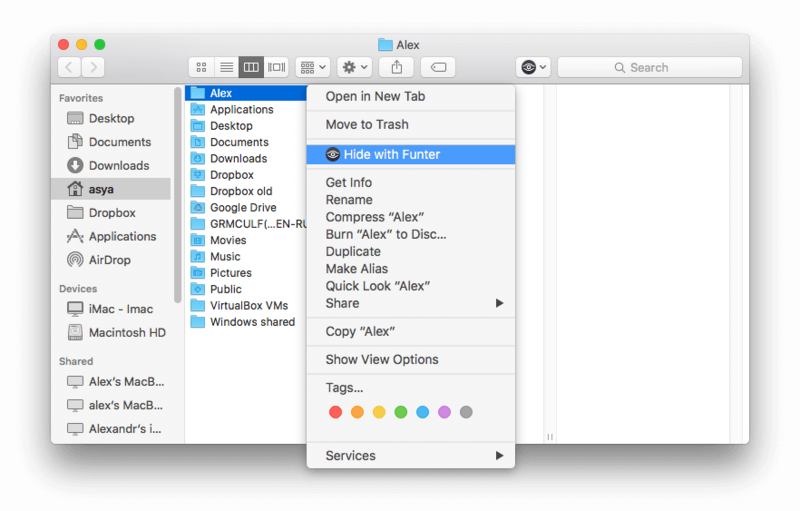 You can make any file or folder hidden using Funter. Just use the shortcut menu. 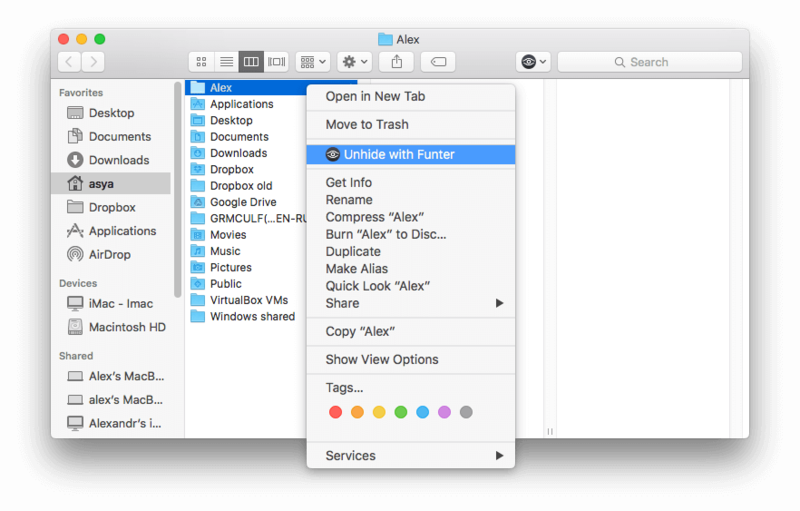 Funter integrates with Finder, so you can change the visibility file right in a Finder window using a special icon menu.